Many people contact us asking how they can get started as soon as possible with their Amazon business, without a huge investment. At Jungle Scout we strongly believe that you can definitely start small and scale upwards. We also have a mantra that getting started (the sooner the better) is the key to success. Chris Jones from ZonLife contacted us to share his insights and processes for starting an Amazon business with less than $2000. As a seller himself, starting out on Amazon UK from humble beginnings, he is highly qualified to speak on this topic. This article is both inspiring and insightful, to make sure you grab a drink and tuck in! Starting an Amazon business can be an enjoyable and highly profitable adventure if you identify the right stones to step on and the best paths to pursue. With first hand experience of living the selling on Amazon FBA dream right now, I can tell you that the potential of selling on this platform is enormous. A main concentration point for people looking to start selling on Amazon FBA would be to build up enough capital so that they can begin. In this case, we’re aiming for a sub-$2,000 start-up, all in. My early life wasn’t the what you would call a success story, but ultimately, any failures or roadblocks have motivated me and driven me towards success later in life. Born in Pembrokeshire in Wales UK, my Father was a Farmer and my Mother a district nurse who both worked extremely hard to look after me and my older brother. I was always a bit of a wild child, though, and disillusioned with the whole education system from start to finish. Throughout school I battled with alcoholism, and I was later kicked out of college. After this I tried my hand at several jobs, painting, washing dishes, delivery driving and working in a warehouse. It wasn’t until I started working as a personal trainer and nutrition coach that I found something I enjoyed. However, I was still not earning enough to make ends meet and I even participated in a clinical trial at one point(!). Having been through all of this, I was tired and fed-up of not being able to make ends meet. I started to ask myself, “How do I make money while I sleep?” and “How can I generate passive income?”. This was a sure sign that I wanted greater things in life. 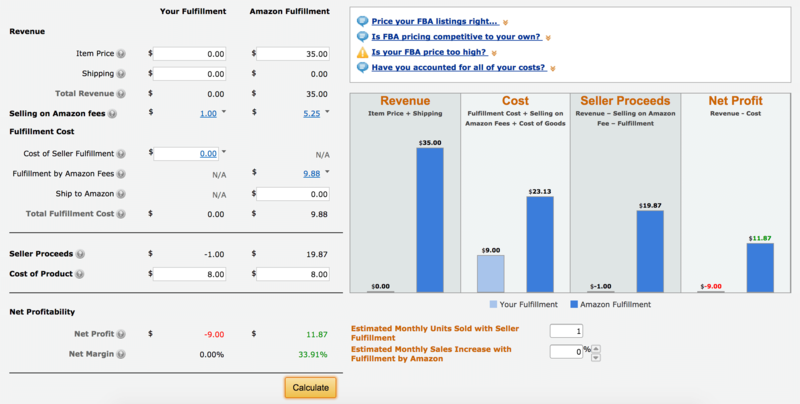 I decided to go all in on the Amazon FBA (Fulfilment By Amazon) model in May 2015. I had been reading and watching endless videos on business, selling on Amazon, passive income and much more prior to the set up of my new business. 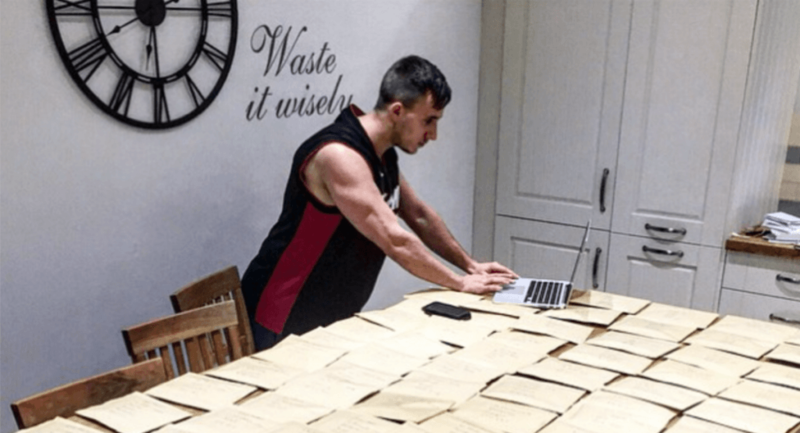 I started my Amazon FBA journey with as little as £2,400 ($2,900): everything accounted for. I will define the word ‘everything’ shortly. Afterwards, I turned that seemingly small sum into a much more appealing £8,485 ($10,300), after selling the 500 units I sent in at a selling price of £16.97. Not a bad return on investment (ROI), would you agree? FYI: I sold out the first batch of 500 units in the first 6 weeks of going live on 16/08/2016. Since this my business has grown and I’m about to expand into the Amazon US market which is very exciting. 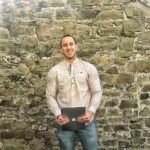 I have also launched my own blog at ZonLife Success to help other entrepreneurs achieve success, which is something that I find very rewarding. 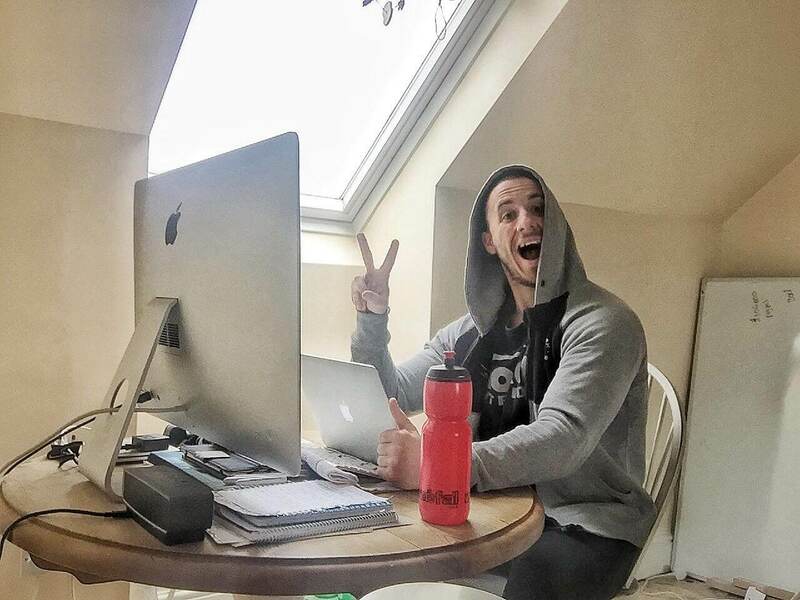 From my humble investment of under $3k into a supplement product, I have since invested in a larger range of products in the Health & Personal care and Grocery niches selling coffee and sports supplements. The business is now making regular daily sales beyond my expectations with high profit margins. Our best month saw over $63k in revenue! This has not been without some mistakes and learnings along the way. The good news is that there are so many transparent resources out there now (such as the Million Dollar Case Study), so that you can learn the things you need to know in time and learn from other’s mistakes. If I knew as much about the private label industry and the Amazon business model as I do now, I could have dramatically cut the costs of this start up investment amount. Please don’t dismiss the fact that I shipped from within the country of sale. Meaning, I worked with a UK-based supplement manufacturer and would be selling those private label products over at Amazon FBA UK. If this was being exported overseas, there would be a much bigger cost as there would be freight charges, custom duty and all other things shipping that need to be completed prior to even considering shipping overseas. This personally left my mind boggled when I was starting out, and this is why I focused my efforts in selling on Amazon in the UK. Ten months later, I found out that you could also ship from a USA-based supplier to USA Amazon FBA – which might have been a bigger base of sales and earnings for my Amazon business, but that would have potentially brought about extra stress, so I left it out. The point is, there’s lots of approaches you can take when you are starting out. You can try to cut out complicated process, and you can try to keep your costs down to a minimum. I’m here to show you how to do that. I have found that the more love and care you put in to your Amazon business from the get go, the more it will reward you for it in the grand scheme of things. It will allow you to free up more time (passive-income style) so you can work ON your business and not so much IN it, which is essential for business growth. The product research process is definitely an important launchpad for your business. Here’s my top tips for ensuring you are setting yourself up to launch for under $2000. This will save you time and money in the long-run. Naturally, if you want to do your product research well, find hundreds of ideas and narrow those down into feasible product options, then you’re going to need some tools. Getting accurate estimated sales data and other metrics is really important when finding products with high opportunity and demand, but low competition. If you are looking to invest in a product research tool like Jungle Scout at this point, then you may want to add this cost to your start-up investment. Personally, I think this is an invaluable investment. It will also provide a long-term benefit, because it is going to help you stay ahead of the curve post-launch, and grow your business or add new products in future. Find the sale price of the products you might be looking to consider and cross-reference these selling prices with average cost prices on Alibaba. Doing cross-reference price checks will help your product research phase by allowing you to see what profit margins are potentially available to you. This is obviously important no matter your startup budget. If you are looking to launch with less than $2000, it also allows you to work out roughly how much your cost price might be for your first 250-500 items of inventory. If you are looking at high-cost product ideas, this might not work out, and you may want to bench those ideas for later. This is a tool that anybody looking to start an Amazon business should be leveraging. The FBA calculator lets you input certain data about a product that you are looking to sell at a similar price point to the one you’re looking to sell it at. You can also add the cost price of the product. All of this data is collected and displayed right in front of your eyes and it lets you see the costs that come into each and every sale made. Again, you should then be able to figure out how these costs fare when you are purchasing your first round of inventory, and whether that will be feasible within your $2000 budget. Tip: When the FBA calculator asks you to input the ‘Cost of product’, make sure you head over to Alibaba and see how much the product is selling for on average. To be safe, take the higher cost price of what that private label supplier is advertising. This is especially useful when you are just starting out, to avoid unwanted set backs. It’s even more important when starting on a smaller investment. Make sure your products can fit into a shoebox and are light, this will save on shipping costs. This will also reduce any potential shipping issues. By this, I mean avoiding entering any markets on Amazon that are dominated with big brands selling in them: brands such as Converse Chuck Taylors in the shoes department (or ‘kicks’, as some of you youngsters may say), Adidas clothing, iPhone chargers against the likes of Apple (this might land you in some trouble anyway so best to stay clear). In essence, you DON’T want to compete against the big boys in the market and you should rule them out completely in order to play it safe (or safer). These criteria are vital for starting out your Amazon business the right way: maximizing your chances of success and minimizing all other elements of risk. This will also ensure that you can move forward with a $2000 start-up investment, and still see great success. Throughout all of these processes, you will often find yourself in more of a pickle (‘a confusing and frustrating state’, for those of you who don’t speak British) than in the sweet-spot of product research mastery. The main thing is that you are constantly seeking the long-term outcome throughout this process and do not give up when it comes to the apparent ‘failure’ upon the first few hurdles that you are challenged with. Below is a screenshot of a product that I have been looking at that has a more than respectable amount of sales flowing through for its main keyword – with the revenue figures to back it up. The biggest factor that I would be focusing on here is the amount of reviews for the different private label products that are not of great amounts yet are generating a very nice volume of sales per month. This, combined with the resources I have listed earlier on, can be a vital asset to your already powerful arsenal. You can now dig deeper into the product research phase knowing you have some solid figures to work off. You are now able to check the demand on Google trends, look for a higher-end cost price of what the product is going to cost you on Alibaba, weigh up profit margins and other fee breakdowns using the Amazon FBA calculator, and also start further inspection of the products on Amazon. Is this a guaranteed goldmine? No, of course not. Nothing is guaranteed, but when it comes to adding more security to your decision this example would hit that nail on the head every single time. I would be looking to enter this market NOT with the mindset of capturing a large percentage of the market share – such as 20%, 30% and so on – but moreso to work my way into tapping into a small majority of the market share. 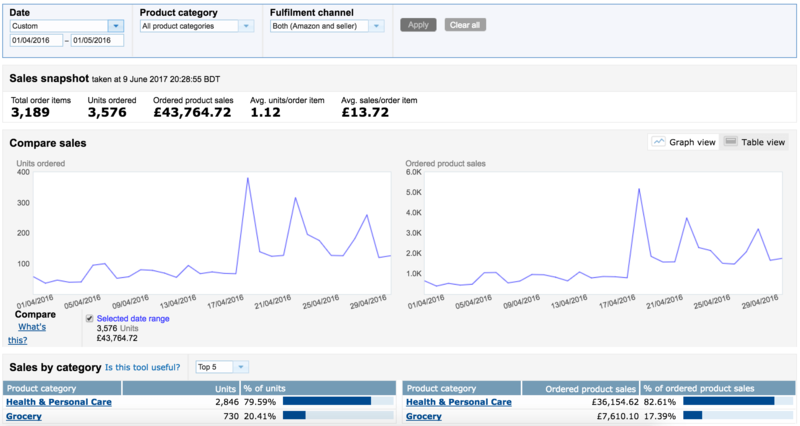 I mean if I was to bring myself in 15 sales per day (450 units per month), which is not a huge ask, I could bag myself a nice total revenue of £11.99 ($14.60) per sale, which would work out at £5,395 ($6,560) over the course of 30 days. Please remember, sales do not stop on weekends. Let’s assume your total net profit margin is 30% – which is not a lot to ask for, either. This means our take-home cash (Cha-Ching) would be an average of £3.60 ($4.40) per sale. Calculate that number with the 15 sales per day over the course of 30 days in the month and you will have cashed a very cool £1,620 ($1,970) in your pocket (or into your re-investment plans for your Amazon business). Congratulations, you now have the opportunity to earn more than the average worker’s wage in the UK based off one single product release, doing 15 sales per day at the low end of the net profit margins of 30%. Total annual take-home (pre-tax) = £19.440 ($23,620). Not bad for a sub $2k investment, right? The average cost we are up to with the start-up of your Amazon business at this current stage, tools aside, is a grand total of $0. Once you have found some potential suppliers on Alibaba, you will first want to order a sample of your product. Naturally, this is going to cost some money. Tip: I sometimes prefer to order the sample with full branding of my label, complete with logo and full graphics: this way I don’t have to get it sent out a second time after receiving a plain first sample product (such as a coffee glass with no branding on it). It could save you both time and money! We order samples so we can look, test and inspect all aspects of the product’s quality. It’s vital to complete this process otherwise you are casting your rod into a potentially empty, yet dangerous, ocean. Just imagine rushing this phase and ordering a bulk amount of 250 coffee glasses that seemed fabulous by the photos on the supplier’s Alibaba listing, but when they are actually opened by your paying customers the coffee glasses are of low quality, the wrong color branding, with crushed outer packaging: leaving nothing more than a bad taste in those customers’ mouths. Not worth the risk. Not at all. Play it safe and order samples. This goes for each and every new supplier you are looking to work with to create your products for you. Make sure you ask about each suppliers ‘minimum order quantity’ (MOQ). This is where the supplier sets a limit for how many units can ordered from a buyer. For example: a supplier selling ‘coffee glasses’ might have a MOQ in place for 3,000 units. This shows that you will have to (most likely) order 3,000 units of this private label coffee glass in order to place any order at all. Sounding a little steep? Well, there is ways around this or certainly ways to reduce the MOQ by at least 30–40% if you know how to negotiate. But ultimately, you are going to need low MOQ’s to launch with a smaller investment. Always approach suppliers in a professional and serious attitude, but don’t be afraid to stand your ground and let them know what your wants and needs are. If you are negotiating a smaller MOQ for your first inventory shipment, make sure you let them know that you mean business. One technique is to say that you want to test the quality of the product with them for the first order, and give an indication of how many units you expect to be ordering over the course of the following year, based on your product research projections. Tip: For smaller MOQ’s, try Aliexpress, and also Google search. Yes, you can find suppliers by typing in relevant search terms on Google too. Aliexpress is similar to Alibaba but deals on a smaller scale, offering much smaller start-up quantity amounts. But do be careful as, when ordering small amounts, the cost of the product per unit (and the shipping) is often much higher. 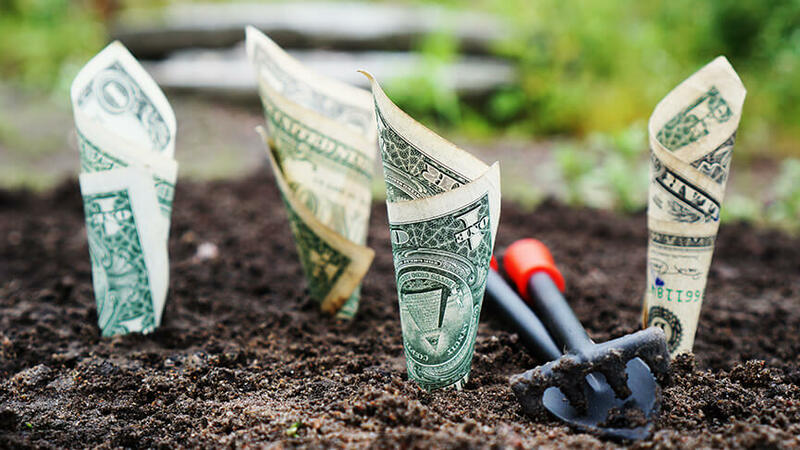 You need to find the right balance between getting a good cost per unit and a low enough MOQ to keep your start-up investment under the $2k mark. After loving the look, feel and quality of your product samples, now is the time to get seriously committed and place that order that you have been dreading for the last few weeks. I can hear your heart beating and sense your hands getting all clammy from here. Worry not, private label solider. You are on the right track. I always opt to use PayPal to pay suppliers, especially for smaller amounts. This provides quality protection and enables the transaction to be processed quickly. PayPal to take a percentage fee, though, so this is perhaps not the best route long-term once your business is growing and you are ordering huge amounts of inventory ;). Alibaba average cost price: $1–2 per glass but we will go for a bundle of two coffee glasses which will cost $3 each, (all custom branded EXC delivery). Average sale price on Amazon USA: $30 (make sure you see exactly the coffee glasses people are buying more of here. Are they single glasses or a bundle? Such as a set of 6 for example). A realistic and non-overwhelming goal to aim for would be to sell ten units per day at $30, working on a profit of $13.95. Sales don’t stop on weekends which would bring you in a total of 300 sales per month. Tip: You can use the Jungle Scout Chrome Extension to get reliable estimated monthly sales, allowing you to get a data-backed goal of how many units you will be able to sell per day. This helps with your business projections. Now, this profit is quite generous, as you will also want to enter any other additional expenses that you have, which can vary. You would also need to account for any marketing spend such as on Amazon PPC. Having said that, there’s plenty of room for movement with this amount of profit to be able to put a bit of that cash into making more sales. So, what does this tell us about the product that we could be potentially selling on Amazon? It shows us that there are many costs and fees involved with starting up a Amazon business but I have been careful not to hide or hold any fees or costings back from you when collecting the information above. To help you document these breakdowns for your product launch, I have created a useful spreadsheet swipe file that highlights all of the breakdowns in this post. You can save a copy of this spreadsheet for your own use, enter your own costs, and get your startup costs and an estimated profit breakdown. You’re welcome! Did I pass the test? I think that this is a very easy to follow example of some of the most important costs you need to account for in your product launch. Everything from product costs, shipping, labelling, photography and design has been accounted for. After all, you want to be able to create a good product listing with some solid images for your first ever launch. I have even included additional costs for your first month of product research tools, which are imperative to reducing the risk of failure, and some Amazon PPC for when you launch to help you along the way. If you are good at photography or design, then maybe you will do those parts yourself and spend a little more on inventory or PPC. Each case is different but I hope this example gives you an insight into the fact that you can start your Amazon business with less than $2k. Because of the speed of implementation that we are aiming to achieve here in getting started, we do not have to look too far into any fancy designs, packaging or any major additions for our private label product. We are looking to jump on the bandwagon while it’s hot and then once all set up and selling, we can then look to further improve that product. By this point, your product will have started to generate profits. Following this, you will want to continue the momentum and start to work on your Amazon marketing. There’s lots of things you can do on a low-budget to increase sales, such as running promotions for a short period, setting up email campaigns for your customers to gather non-incentivized reviews, improving your keyword research and optimizing your product listing. Tip: Read Amazon’s Terms and Conditions in the early stages, it will allow you to begin and continue your Amazon business in much safer, smoother and faster fashion from launch. I think everybody should take the time out to do this instead of potentially getting into a dilemma down the road when your sales are booming. Congratulations! You have come far in your start-up journey to financial, time and life freedom… But now is the time to make some sales for your private label business on Amazon FBA. Um, yes sir. Unfortunately money does not simply grow on the far-reaching branches of the Amazon jungle trees. 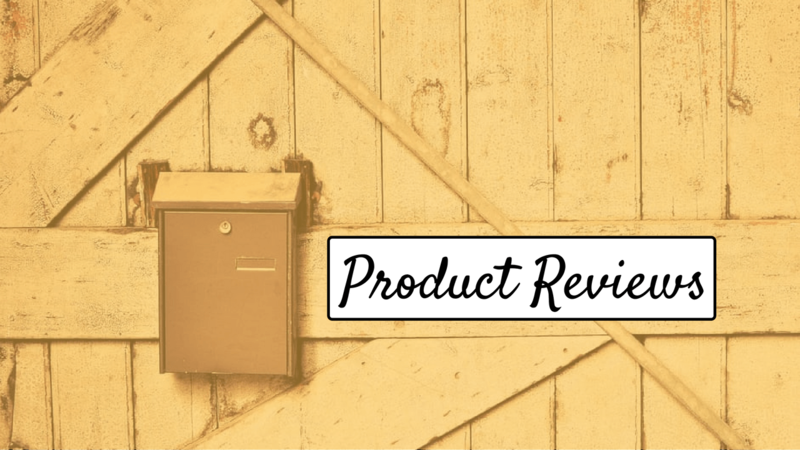 Reviews are going to be a massive – and ongoing – focus point with your Amazon success. The people with more reviews for their products on Amazon are most likely going to take the gold when it comes to participating in this sometimes challenging game. I am not saying that reviews are the be all and end all of creating massive success selling on Amazon but it definitely plays a substantial role in the process. Aim to achieve 15–25 product reviews on your listing as soon as possible. Thereafter, you can begin the PPC (Amazon’s internal pay-per-click) process to further increase exposure and sales for your Amazon business. Your ultimate goal for your Amazon business is to rank your private label product up to the first page of Amazon for its main keyword and maintain that position for the long term. It helps to continuously clock up more reviews (you can do this by increasing the value of your product and outstanding customer service); maintaining a great Amazon account performance; and driving traffic from various social media platforms to your Amazon product page (Amazon loves incoming traffic). These things, done right and consistently, are going to help you reach heights of success. It doesn’t matter if you started with $2k, $4k or more. The key is that you get started on this journey and consistently scale and improve. I would advise thinking about re-investing the majority of your earnings straight back into your business by buying more products at given times. Remember, bigger order quantities reduce your overall cost price of each unit purchased from your suppliers. This plan of attack will not only help you to grow your Amazon business a lot faster but will also help you to understand the Amazon business and overall private label industry much better as a whole. Another great point to make here is that the more you practice this process of product research, supplier negotiations and all other elements of business, the more knowledgeable you will become. Close this blog post and chuck its content-rich pages of wisdom into a fire. If your decision was to go with the former then I have full respect for, and full confidence in, the journey that you are about to embark on, my good friend. Not only are you about to add a nice chunk a’change to your back pocket but you have also proven to yourself that anything is possible with a little piece of action pie. Now go and create your Amazon empire! This is great information but I think you missed a few things. Just off the top of my head, there is no mention of a UPC code that sellers are required to purchase, per Amazon rules, from GS1 for $250 + $50/yr registration in order to be labeled properly. I think a more realistic bottom number is $3,000 in 2019. You are correct! This post is from the perspective of one seller’s journey a couple years ago. We have an updated post here with the current UPC code costs included. Keep an eye out for a 2019 update from us! good info. i will be more confident now i starting my online business. my question iam livin in belgium which Amazon is the best to sell in for me. Thanks Chris..this is very helpful. Great opportunity…the only concern I have is…if I am doing this then thousands of others who see this same info starts the business…so question is, how can we do the same thing that thousands of others are doing taking away business from each other…I see it like this. Your open a pizza shop in the food court of the mall, but they have 5 other pizza shops there as well. Hello, very new to this. Just had a couple questions. Once you order the products are you shipping it to yourself? Are you fulfilling / shipping those orders yourself? This is amazing and delivered in a very understandable way. But since I’m from Zimbabwe (Africa) is it possible to do business on amazon ? Unfortunately, Zimbabwe is not accepted for seller registration. In the example above, it references 4 weeks for production, then 4 weeks shipping to the states from China. Is it safe to say that there will definitely be a 2 month minimum wait from our initial production purchase to being available for customer purchase on the amazon marketplace in this examples’ scenario type? It depends on the time of year, company you’re ordering from, the product creation, and a whole bunch of other factors. However, I find that 45-60 days is usually only the worst case scenario. Great article. I’ve been thinking over the idea for quite some time. Good idea to get those early 15-25 reviews before starting with Amazon PPC. Any tips on getting those 15-20 reviews asap? Using Jump Send is a good idea because it gives you automated follow-up abilities. These days, honestly, you can start Amazon PPC early since Amazon made it a little more difficult to get reviews back in October 2016. Hi my name is ivette and my mom has been trying to start her own business for years and never does because she is scared of not doing right being a first timer . Can y’all please help her. It’s understandably scary when you are first starting out. But our motto is to just keep moving forward, one step at a time. I’d highly recommend the Million Dollar Case Study to your Mom – it’s a free step by step course that she can follow along with. Thanks for the easy to understand explaination, kinda exciting to think about abut trading on Amazon. Silly question but being a complete novice… Amazon has just started selling in Australia, do you get Alibaba to send your merchanise to the USA or the UK? or Australia for me? Im assuming the USA is the main depot but I could be wrong.. Thanks for sharing this optimistic article on Amazon business. I was thinking about it over 2 months now and would study more before starting. great article, simple steps, tempting to start, as long as you can keep sharing the road map. Thank you. This is amazing and delivered in a very understandable way. I was just browsing the subject but you’ve got me interested. Don’t you have customs cost? That was a very encouraging article and kudos to you, Chris, for giving back to the world. Tons of information to help new sellers venture into the world of Amazon. Thank you Greg for your great software. great article, but not sure if this system is viable for Australia, can you advise?